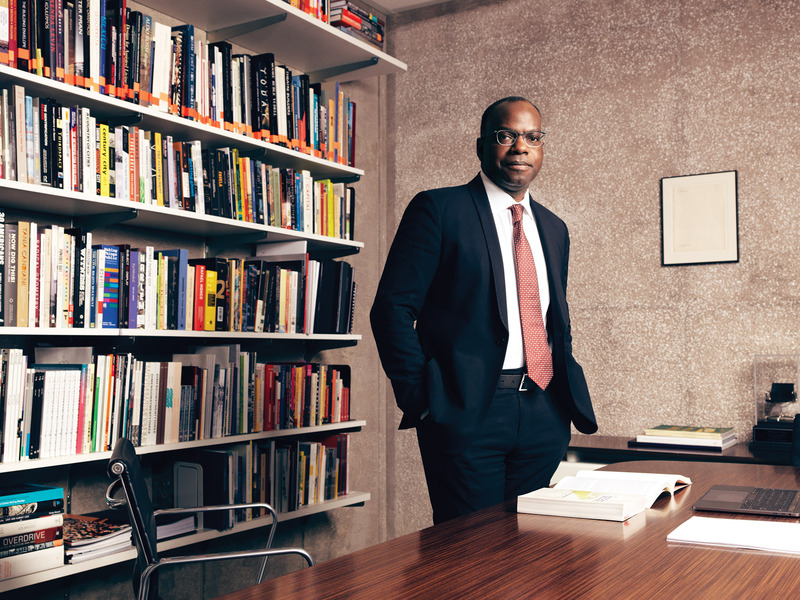 For solutions to inequality, marginalization and divisiveness, one of USC's newest deans wants to tap an unexpected resource: architecture. It can be easy to take architecture for granted. 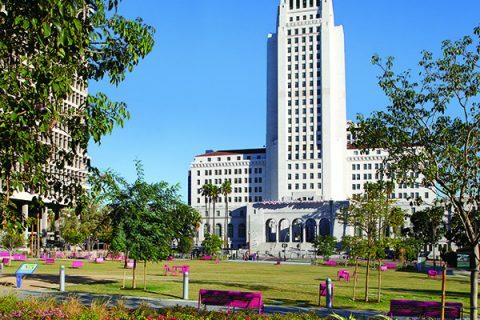 Sure, Los Angeles residents taking visitors on a tour might point out famous landmarks. The Walt Disney Concert Hall and its soaring curves — designed by Frank Gehry ’54 — or the Stahl House, a modernist paragon in the Hollywood Hills by Pierre Koenig ’52 come to mind. But consider that many city dwellers spend every minute of urban existence in a space that someone imagined and designed. They could be forgiven for becoming numb to structure. Milton Curry isn’t one of them. Milton Curry holds the Della and Harry MacDonald Dean’s Chair at the USC School of Architecture. Get to know the man behind the school that has produced some of the nation’s most innovative architects. Curry looks at architecture with a wide lens, where it’s clear that an edifice can have an enormous impact—not only on ease of living, but also on environment, economy, culture and race relations. This is the kind of provocative thinking that he plans to nurture at the helm of USC’s program. More than half of the people on the planet now live in cities, and that move toward urbanization is only expected to accelerate. Yet the same urbanization movement that can yank people out of poverty and spur innovation can also produce shantytowns and stifling pollution. As Curry sees it, architects are in a unique position to help address these problems. But first, an architect’s role must expand. Under the dean’s watch, he hopes architects become not only masters of the practice, but also keen interpreters of the cultural context and ramifications of their work. Graduates make connections between disciplines, engage with the social issues of our time and shape society for the better in Los Angeles and beyond. On a quiet Monday in Watt Hall, home of the USC School of Architecture and the USC Roski School of Art and Design, morning sunshine falls through high windows. Architectural models in various stages of completion are scattered in the studio, with no students in sight. But the dean’s office is already open and Curry is ready for the day. Sitting at a translucent table, he’s wearing a tie and sneakers, and the sleeves of his blue dress shirt are rolled up to his forearms. It’s an apt visual metaphor for a man accustomed to getting down to business. With a warm demeanor and a measured manner of speaking, Curry can explain the complex underpinnings of our social fabric as easily and eloquently as he can toss out details of architectural history. I think the worst invention of the United States has been suburbia. That really was a confluence of all of the negative forces that we are trying to undo today. His exposure to urban environments expanded as he moved around the country during his initial schooling and teaching stints that included time in New York, Phoenix and Detroit. From the 1970s through the 2000s, these cities and others have been, as he puts it, “not very palatable for a lot of the population. But if modern urbanism has helped exacerbate many of the social problems we’re dealing with today — racial and cultural divides, growing gaps in wealth, environmental havoc — Curry also believes that architects can play a major role in addressing those issues. And he hopes to make USC a leader in the discourse around them. This is just one of the reasons that Hadrian Predock, the USC School of Architecture’s director of undergraduate programs, feels the time was right for a leader like Curry at USC. Curry is the first to admit that answers are not always clear, not always black and white. That’s why exploring the questions is so important. I am a strong believer that architecture is a social art and science and that it deeply involves people and social structures. Amy Murphy, a former vice dean who has been teaching at USC for more than 20 years and is now the USC School of Architecture’s diversity liaison, also sees a broader role for architects. “I think what makes a good architect is knowing that the capacity of architecture is larger than just aesthetics,” she says. For Murphy, an architect’s design improves once it’s “burdened” with societal, environmental and even budgetary requirements and limits. True mastery shines when a design is able to break through and engage with complex, real-world challenges, she says. In practical architecture, major social issues are often overlooked, Curry says, sacrificed for the demands of the client, or simply regarded as being outside the realm of the architect. But, as he points out, it’s time to shift that thinking. Architects need to examine their work critically. They must ask how historic issues of segregation, mobility, jobs, transportation and affordable housing weave their way into their work and the current public sphere. “When you look at the National Museum of African American History, the interplay of light, materiality, heaviness and lightness works as part of the storytelling mechanism. We could also look at a more poignant example and say, ‘Are prisons really the places that we’re proud of?’ That’s architectural environment. Architects design that. So there are huge impacts — psychological, emotional, physical — that come from being in spaces that are inspiring or demeaning.” — Milton Curry, dean, USC School of Architecture. “Everybody interacts with a built environment continuously. And we all know that a kind of thoughtfulness has been brought to a project that really allows us not to have friction with the world but actually work with it. If we live all day, every day, in environments, why not expect more from them? Why let so much of our world be uninspired?” — Amy Murphy, Associate Professor and Diversity Liaison, USC School of Architecture. With 760 students, USC’s School of Architecture is one of the largest in the country, and it’s consistently ranked as one of the best. It’s also one of the few schools to offer a professional degree in architecture at both the bachelor’s and master’s levels. 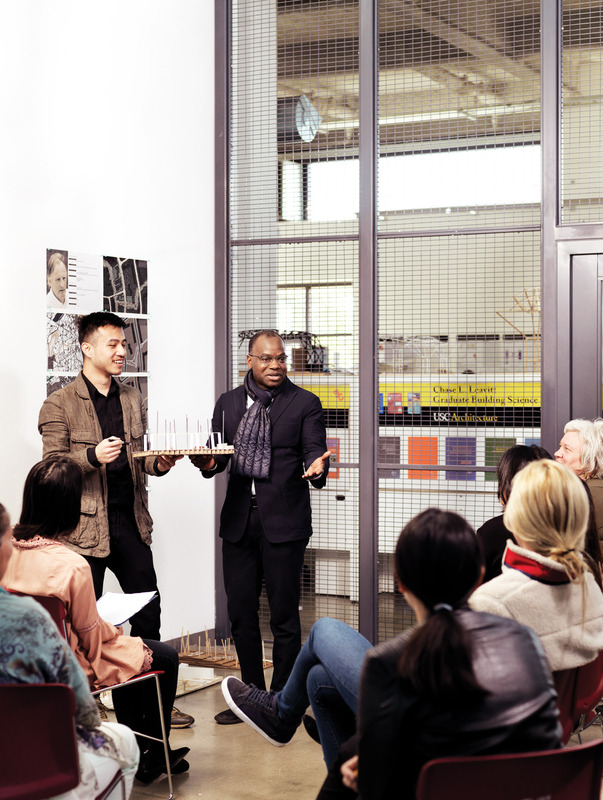 With degrees available in architecture, building science, heritage conservation and landscape architecture and urbanism, it is also unique in its status as what Curry calls a “pure” architecture school—a program that doesn’t include urban planning or real estate and is at the forefront of educating practitioners. Since the USC School of Architecture’s establishment in 1925 (it began as a department in 1916), its graduates have not only shaped the landscape of Los Angeles, but also the field at large. It’s a foundation that Murphy believes sets a precedent for Curry’s vision. Blending the program’s renowned professionalism and theoretical foundation with an expansive worldview is no easy task, but Curry considers it essential. Predock mentions a phrase used by the dean that succinctly identifies the type of graduates the program strives to educate: citizen architects. “Anything that we would be thinking about within the sphere of society, we should be working on in architecture,” Predock explains. Curry points out that USC is uniquely set up to educate this kind of architect. 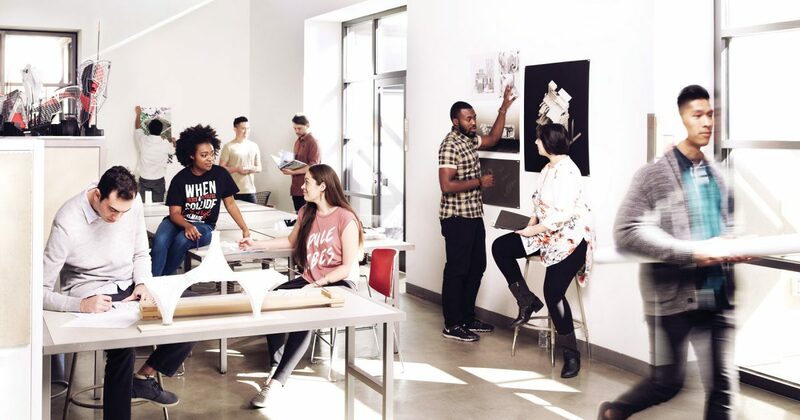 About one third of USC’s 18 schools and colleges are dedicated to the arts, and architecture students can take classes and be exposed to other disciplines across the university. The student body also reflects the nation’s diversity. About one of every six USC freshmen is a first-generation college student, and 2017 data showed USC at the forefront of American universities when it comes to enrolling underrepresented minority students. It also attracts students internationally. “Architecture has to reflect the broader diversity of the citizenry itself. So when we have citizens that are first-generation, we should have architects that are first-generation. We have citizens who are Asian, black, Latino, transgender, gay, lesbian, queer. Architects should be those things as well,” Curry says. That power is why Curry maintains that architects “should have the public good on their minds at all points in time.” It’s also why he intends to give students the means to see beyond the building, to advance their work through cultural understanding and to effect change by applying big-picture thinking to real-world practice. The first licensed African-American architect west of the Missisippi helped design thousands of homes and buildings over his five-decade career, including the L.A. County Courthouse, Westwood Medical Center and Beverly Hills Hotel. Wilson’s work ranged from houses to institutional buildings over a decades-long career. Principal of her own firm and a lecturer at Cal Poly San Luis Obispo, she designed Ojai City Hall and the Simi Valley Community Center, among many other buildings. 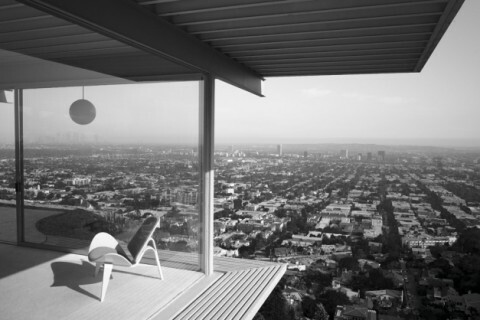 The California Modernist visionary focused on industrial and prefabricated materials to reimagine suburban living, creating some of the most iconic — and widely photographed — mid-century homes in L.A. He was a lecturer at USC for 40 years. Known for fantastical buildings like L.A.’s Walt Disney Concert Hall, Chicago’s Pritzker Pavilion and the Guggenheim Museum in Bilbao, Spain, the world-renowned, Pritzker Prize-winning designer has been called the most important architect of modern times. Mayne received the Pritzker Prize in 2005 for designs that boldly push the boundaries of form with genre-defying buildings like New York’s Cooper Union Building, the San Francisco Federal Building and L.A.’s Caltrans District 7 headquarters.